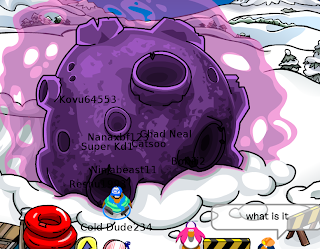 Cold Dude Computers: The Pink Meteor has hit Club Penguin! The Pink Meteor has hit Club Penguin! As you might know Club Penguin updated last night. And as you might have saw on my last post I said that the meteor might have came by today. Well it has! Check this out. How do you think the glow around it was created? Leave a comment and let us know!